How do I change controller's verification mode to Card+Pin mode at software? This article provides answer to question how to enable and configuring the High Security Mode (Card+Pin Mode). Every card will have its own four-digit CardPIN. In Card+PIN Operation Mode, users need to enter the CardPIN after flashing the card to the reader. This provides higher security. 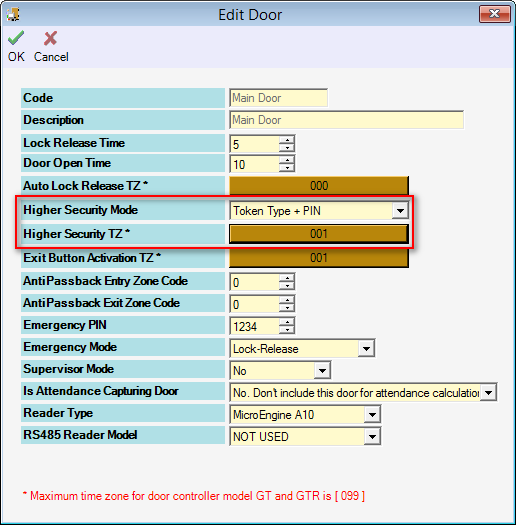 This article contains steps to setup the Verification Mode of Door Access to Card+Pin. 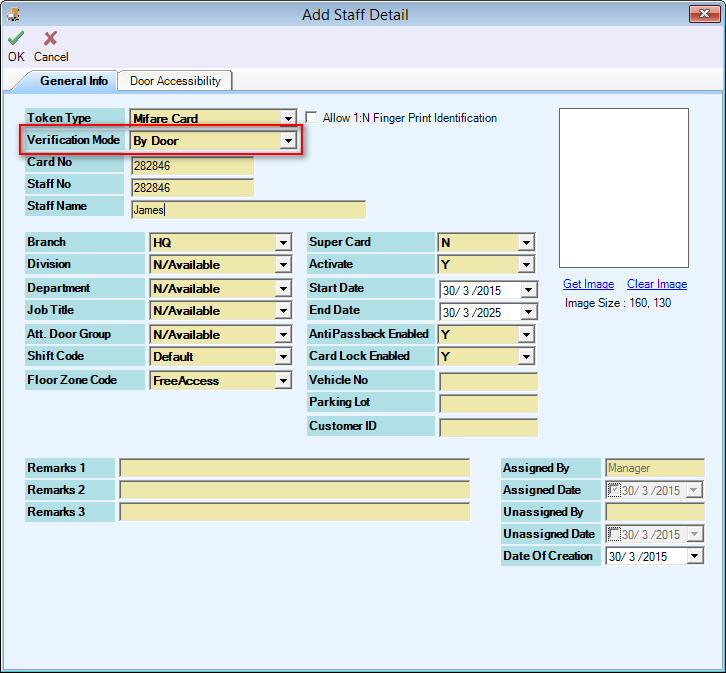 Perform this steps to configure High Security Mode/ Card + Pin Mode for door access. Go to Data Setup › Access Data Setting › Staff Records. For xPortal3000, go to Staff Records. At Verification Mode, select "By Door". Click OK to confirm and save settings. Go to Data Setup › System Setting › Door. For xPortal3000, go to Control Panel › Door › Advanced Settings. At Higher Security Mode, select "Token Type + PIN". At Higher Security TZ*, select preferable Time Zone. The controller's verification mode Card+Pin will be activated according to this Time Zone. Default Time Zone available are "000" and "001". See How to configure Time Zone in xPortal Client software? to create new Time Zone. Time Zone "000" is No Access at anytime whereas "'001" is Free Access at anytime. After activated this mode, user must always flash card and enter PIN number at selected Time Zone. To disable this settings, set the Higher Security TZ* to "000". Summary: Every card will have its own four-digit CardPIN. In Card+PIN Operation Mode, users need to enter the CardPIN after flashing the card to the reader. This provides higher security.This article contains steps to setup the Verification Mode of Door Access to Card+Pin.